Starvation mode refers to the tendency of the human body to conserve energy stores in times when it is not receiving enough nutrients to fuel basic metabolic functions. The two primary changes that your body makes during times of starvation are slowing down your metabolism and conserving fat stored in adipose tissue. Instead of burning stored fat for energy during starvation mode, your body actually prefers the protein stored in your muscle tissue. The state of starvation should be avoided not only because slowing down your basal metabolic rate will make future weight loss and weight maintenance more difficult, but also because it isn't an effective way to rid yourself of stored fat. The majority of the calories an average person burns each day comes from their basal metabolic rate, also known as resting metabolism. Endurance athletes are the exception to this rule because they burn many calories during training and competition. Your basal metabolic rate is the sum of calories that are used up carrying out cellular functions in your body, such as the creation of hormones, new blood cells and neurotransmitters. 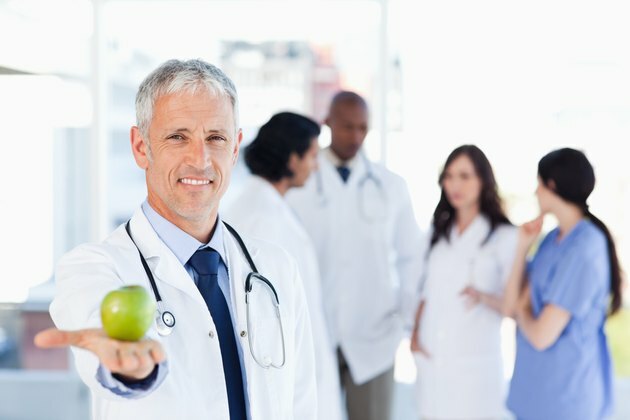 To obtain a precise calculation of your basal metabolism, you will need to make an appointment with a dietitian or other health professional offering indirect calorimetry. The indirect calorimeter measures the volume of air and oxygen you move in and out of your body for about 10 to 15 minutes to calculate the daily calories necessary to support your body at rest. These tests typically cost between $75 and $250. If you are not able to take advantage of an indirect calorimetry test, you can estimate your resting metabolism with a simple formula. For men, use [10 x (weight in kg)] + [6.25 x (height in cm)] - [5 x (age in years)] + 5. For women, use [10 x (weight in kg)] + [6.25 x ( height in cm)] - [5 x (age in years)] – 161. Basal metabolism is only one part of your daily caloric needs. To get the whole picture, you need to estimate the number of calories your body uses each day from both resting metabolism and your daily activities and exercise. 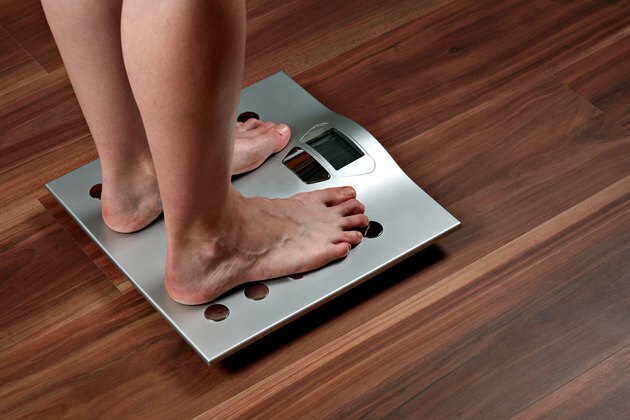 Each pound of weight that you lose requires a caloric shortfall of about 3,500 calories. Because doctors and dietitians recommend that you lose no more than 1 to 2 lbs. per week, it is important to make sure you do not have a caloric shortfall of more than 500 to 1,000 calories per day. Depending on how active you are, that could mean that even if you are eating enough calories to satisfy your basal metabolism, you might not be eating enough for healthy weight loss. Eating less than your total calorie use and more than your basal metabolic rate is the safest and most effective way to lose weight with minimal side effects. To estimate the number of calories you actually use each day, you will multiply your basal metabolism by an activity factor. Choose an activity factor that closely matches your actual lifestyle – not the lifestyle to which you aspire. If you don't usually exercise and you have a job that involves mostly sitting down, multiply your basal metabolism by 1.2. If you engage in light exercise, gardening or sports one to three times each week, multiply by 1.375. If you engage in moderate exercise, gardening or sports three to five times each week, multiply by 1.55. If you are involved in hard exercise or sports six or seven days per week, multiply by 1.725. If you are extra active and do hard exercise or sports in addition to having a physically active job, multiply by 1.9. If you are somewhere in between two of the activity factors, you can multiply by a number that is in between. How Much Weight Will I Lose Working Out 3 Days a Week? How Many Calories Does the Body Naturally Burn Per Day?